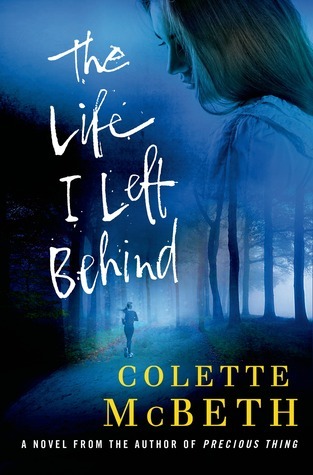 If you enjoy the novels of S J Watson and Rosamund Lupton you’ll be crazy for Colette McBeth’s accomplished second suspense novel, The Life I Left Behind. Strong female perspectives tell the story: Melody Pieterson, whose close escape with death six years ago still haunts her and has changed her daily life, despite her former close friend, David Alden, being caught and serving time for her attack. Engaged to be married to Sam, he’s built a house for her that’s safe and secure and even installed a fence around its perimeter when her David is released from jail. Yet she can’t escape the feeling she’s being followed at times, while questioning the life she’s leading, closed off from everyone. Eve Elliot, a determined investigative reporter and friend of David’s sister, is the most poignant of the voices, and speaks to the reader after her death, recounting her agreement to take on the job of trying to clear David. Despite him already having served his sentence, David maintains his innocence and wants his reputation cleared. Once Eve agrees to take on his case, her usual thorough job of dissecting the evidence against him finds discrepancies the original police investigation missed. Just as she’s ready to bring her findings to the police, Eve is murdered in exactly the same way Melody was attacked and left for dead, and David is arrested for her murder. DI Victoria Rutter is assigned the case of Eve’s death. Her mentor cleared Melody’s attack in record time. Facing retirement in a matter of weeks, he urges her to bring charges against David, and she feels she’s betraying her mentor for not accepting his blithe acceptance that David Alden would attack a woman in exactly the same manner he was jailed for last time, just a few weeks after being let out of prison. Her conscience makes her investigate Eve’s death more fully. And then a friend of Eve’s turns in the files she’d been working on after giving a copy to Melody, and things change dramatically. Secrets will be revealed and the tension mounts as Melody and Di Rutter both go through the files and come to the same conclusion: David is probably innocent of both incidents. But that means a murderer is still out there, and Melody is jeopardy once again. Readers will find themselves unable to put this one down. Auntie M was close to finishing it and stopped reading on on purpose to make dinner. She wanted to stop the dramatic flow of action so that she could fully absorb the ending she knew was mounting. This is writing that gets deeply into the heart of human emotions and examines the faces we wear for others, the ones they expect, and the ones we think they expect. Highly recommended and a writer to watch for down the road.